You are a gnome — small in stature but large in heart. Your craving for adventure is matched only by your desire for treasure and your love of mushrooms. You are a fun guy (ahem). Anyway, it's time to leave the protection of your beautiful gnomehome and seek your fortune in faraway places. Gnome and away. Will you sail a leaf boat down the river, climb Mount Gnome, and pick the rare but valuable Montane King mushroom? Or visit the frightening Sorcerer and carry out his quests? Or just buy and sell mushrooms, wear sensible footwear, and travel the known world? Perhaps a proper basket and a proper rucksack are in order? It's time to fix your pointy hat. It's time to comb your beard. It's time to ready your pond pipes. 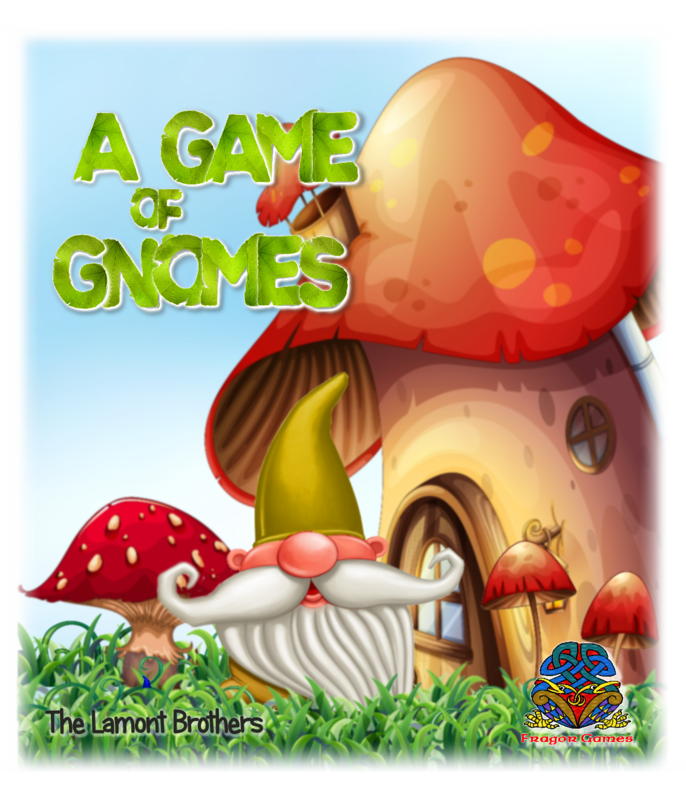 It's time for...A Game of Gnomes.